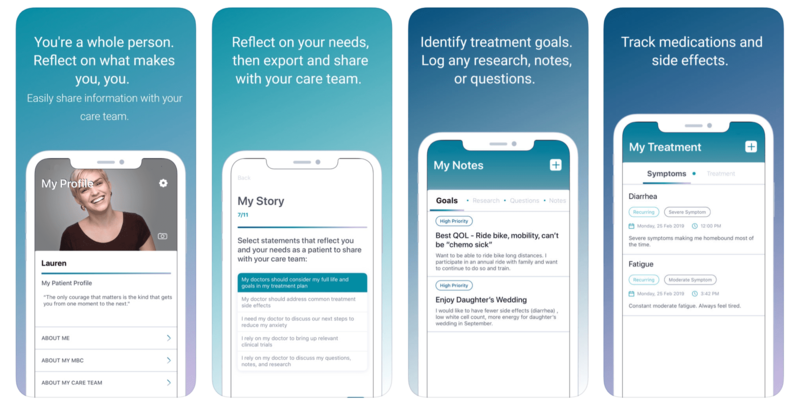 Healthcare app development can serve many purposes: Help patients monitor their own wellness, assist physicians diagnose illnesses with greater accuracy, and create opportunities for anyone to connect with the right physician for their needs are just a few examples. As healthcare app design and development continues to improve, the potential capabilities of this technology will only grow stronger. Already, approximately 71% of healthcare providers use these types of products in some capacity. It’s likely the trend will continue, with more patients and doctors embracing the benefits healthcare application development offers. Your organization could take advantage of this healthcare revolution by partnering with a healthcare app development company. Whether you have an idea for a product consumers will use to boost their own wellness, or you represent a healthcare provider and need an app to solve a key problem, a healthcare application development specialist can help you realize your goals. The following are some of the more interesting ways consumers and doctors may use these types of products in the near future. By learning what healthcare app design can do, it’s easier to realize how you can benefit from developing one. To offer the best possible treatment, physicians need to constantly monitor the condition of their patients. This is difficult when patients aren’t staying at a healthcare facility under constant supervision. That’s why many expect healthcare providers will soon rely on wearable technology to monitor patients. Wearables can be integrated into healthcare app development to track data about numerous health factors, including heart rate, respiration, physical activity, and more. The devices can then relay this information to doctors, helping them assess the condition of their patients when they aren’t immediately available. One of the primary functions of healthcare app design involves connecting patients with physicians. This can be useful in many situations. If a patient doesn’t have time to see a physician, they can speak to their doctor remotely through the health happ. If the physician determines the patient needs to come in for an appointment, they’ll let them know. Patients who require constant care, but not to the degree that they must remain at a medical facility for an extended stay, can use apps to coordinate with their doctors. With help from a healthcare app development company, your business could even leverage new technologies to enhance these features. For example, virtual and augmented reality technology – once integrated into healthcare app design – can transform a patient’s surroundings into a virtual doctor’s office. This lets them have dynamic meetings with their physicians remotely. The healthier a person is, the less likely they are to need medical treatment. That’s why many believe fitness apps overlap with healthcare application development. With sophisticated technology, an app can help a patient take steps to get healthy and stay healthy, letting them know what they must do to reach a weight goal, boost their cardiovascular health, and more. Fitness apps can relay this information to doctors, helping them better understand what patients are doing to stay in shape. If a patient isn’t taking enough steps to boost their wellness, the doctor will be able to offer more accurate and personalized recommendations directly through the healthcare app. The technologies that allow healthcare app designs to work are always improving. Thus, leveraging these apps to their full potential requires partnering with specialists who thoroughly understand healthcare application development. No matter what your goals are, help from a professional healthcare app development company will let you develop a product that enhances the service and experience for your customers. Doing so then offers them genuine value that will boost loyalty, engagement, and revenue.